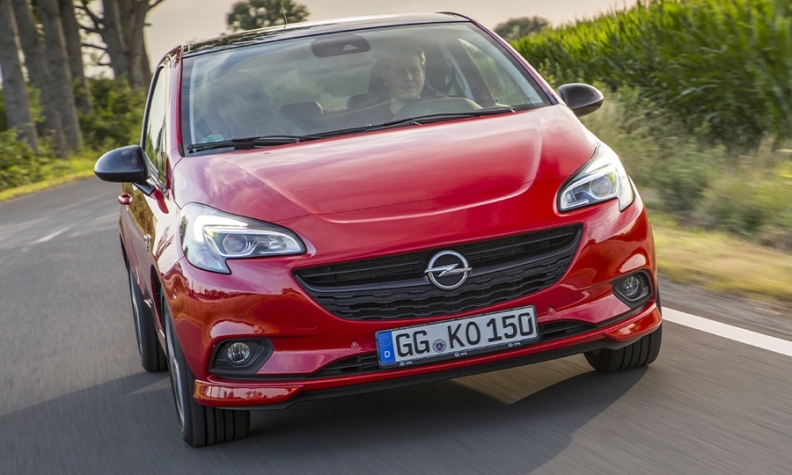 Opel expects “big synergies” from moving the new Corsa (current model shown) to a PSA platform. In November 2017, Opel presented its PACE strategy detailing how the former General Motors unit would achieve profitability under its new owner, PSA Group. The turnaround plan included an electrification roadmap setting out how Opel will meet its EU-mandated fleet CO2 emissions reduction target in 2021. 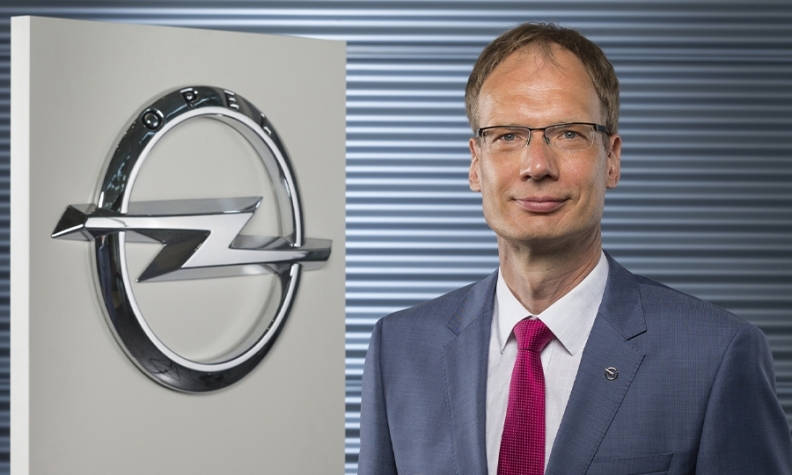 Opel CEO Michael Lohscheller met with Automotive News Europe Correspondents Christiaan Hetzner and Peter Sigal to discuss the company’s progress. How far are you along with PACE? We are roughly 35 percent to 40 percent done. There is good progress. People see that the plan is working and the team is highly motivated. Opel had many plans in the past and they were all good conceptually, but the implementation was lacking. While this [the plan implementation] is clearly better now, there is a lot still to do. We want to be profitable, go electric and go global. We have made a first step with the 502 million euros profit [reported in the first half]. We will see where we end up at the end of the year, but that is already a big improvement. When it comes to electrification, we have four electrified cars that will be on the market in 2020 and our models will be 100 percent electrified by 2024. In addition, we are entering new export markets. We are also looking at bigger opportunities, for example Russia, and there is more to come. Will Opel report its first annual profit in two decades? I can’t provide second-half guidance but I am confident with our progress. Inventory came down, we optimized working capital quite a bit and at the end of the first half of 2018 we had generated a positive cash flow of almost 1.2 billion euros. We will be able to announce the results of our work this year early next year. Do the hard decisions begin now? You can’t solve all the problems in a year, so it’s sensible to prioritize. We have already addressed many difficult issues where the benefits won’t come immediately. For example, our restructuring in Germany. We have 3,700 workers who have agreed to leave the company voluntarily, but not all will disappear from the payroll until later – in 2019 or even 2020. We also have big synergies coming from projects such as the new Corsa moving to a PSA platform next year. Does that mean you will achieve your goal of having 1.1 billion euros in synergies with PSA by 2020? It’s a clear target, and we are fully on track to achieve that. Opel sales surged in September, coinciding with the start of the new WLTP testing. Will this trend continue? When September came, we were prepared for WLTP. We reached our highest market share in September since 2014. We are a full year ahead on fulfilling the Euro 6d TEMP [standard for diesel engines]. For instance in Germany, Opel has 127 engine-transmission combinations across its range that already meet the stricter emissions regulations that take effect in September 2019. This is something that our fleet customers love because we can give them peace of mind. We believe there is an opportunity to further grow our market share this year. Does that mean you won’t have to slow the assembly line in Ruesselsheim? Reports emerged that just 35 vehicles per hour will be built there, down from 42 only recently and 55 earlier in the year. We don’t comment on this because these numbers always go up and down. We work on a two-shift approach and adjust the line rates whenever we feel it is necessary. BMW warned it would miss its profit forecast in part because pricing was coming under pressure from competitors pushing volume into the market ahead of the WLTP changeover. Has that affected you? We have been very disciplined. Our turnaround is not only based on variable and fixed cost reductions, but also on better pricing. We want to improve by 4 percentage points compared with our retail benchmark by 2020. Thus far, we have achieved about half of that. Have you quit unprofitable sales channels? There is no problem with the rental business if it’s profitable, but in the past we over-indexed so much that sometimes the residual values came down. We are balancing this as part of the day-to-day operations. There is always a temptation to do a little bit more business in some of the easier channels, but our strategy is all about strengthening the brand and focusing on profitability. Does selling part of Opel’s engineering work undermine the brand? In the past, half our r&d center employees worked for external parties [General Motors]. Today, all Opel and Vauxhall cars are designed and developed in Ruesselsheim. In addition, we have been awarded lots of work for the entire PSA Group. We have 15 centers of competence [for the group], where we will do things such as the complete development of LCVs as well as a new gasoline engine family. We are strengthening the engineering areas that are core to the brand. Still, there is a growing problem of overcapacity. We have announced that we are studying a partnership with [independent engineering group] Segula. This would safeguard up to 2,000 highly qualified r&d jobs in Ruesselsheim. Demand for engineering services is growing and the world’s biggest market for these services is Germany, where Segula sees further potential. The affected workers have a job guarantee until 2023. It is a much better proposal than reducing these jobs. "I think we have more freedom than in the past. Paris is far closer to Ruesselsheim than Detroit ever was," Opel CEO Michael Lohscheller said comparing the automaker's current owner, PSA, with its former owner, GM. MAIN CHALLENGE: Achieving sustainable profitability while growing the business. You said there could be efficiency gains of 20 percent to 50 percent from switching cars to PSA architectures. How will this work with the new Corsa? The benefits are huge. We currently have nine platforms and each one has a plausible story – whether it is from alliance products with Renault, Fiat, PSA or from GM. Add to that the 10 different powertrain families and you have enormous complexity. In the future we will have just two platforms and four different engine families. When will the electric Corsa arrive? In 2020. We think it is important for the brand. There are a lot of expensive electric cars so the question is: Where is the electric car for the people? We think the Corsa can fill that role. What range and price can we expect? It will be a very competitive offer both in terms of range and total cost of ownership. There will be more to say when we get closer, but it will be the first electric Opel built in Europe so we will save time and money in comparison with importing it from the U.S.
Opel has said that three of its four electrified cars will be the Grandland X plug-in hybrid, the battery-powered Corsa and the full-electric Ampera-e. What will be the fourth? We will announce the additional model at the beginning of 2019. These four will help us to meet the CO2 targets in 2020. You are cutting the Karl and the Adam small cars from your range. Could you return to the minicar segment through the Toyota-PSA cooperation? We will look very carefully at what the carbon footprint is of a specific car line. Not all small car lines are good and not all big car lines are bad. At the same time, we look at what profit opportunities we have. Smaller cars clearly have a tougher job [turning a profit]. Is Paris calling the shots at Opel? People like to say that but that doesn’t make it true. I think we actually have more freedom than in the past. Paris is far closer to Ruesselsheim than Detroit ever was.